was that ‘yes’ on #1, or ‘no’ to destroy the russians? I just love this business. The other day I was looking over my database, checking to see how many agents I’d queried for Ether, how many had responded and how many I had left to try. I’m running at about fifty percent – queried vs responded, and had four left to try. So I double checked the four agent websites, looked up their submission policies and requirements, and found that three of them only took snail while one did prefer email. I was thrilled to find one still taking email, since obviously that’s the easiest, and least expensive way to correspond. Now, it does bother me that a huge segment of agents who prefer emailed queries have a policy of “if we’re not interested, you won’t hear from us.” Which means, basically, “We’re to f-ing lazy to hit Respond and send you a Form Rejection, so we’re gonna just ignore you.” You get this after reading their guidelines expounding on how this is a “business” and you should conduct yourself in a professional, business-like manner. Well color me lavender, but a business proposal is — in the professional world — responded to, regardless of outcome. Cool, I thought. And I went right off and emailed my query letter to the XYZ Literary Agency. I’d email them back with a link to their own webpage and the quoted text informing them in a polite manner that they should update their webpage so that they neither waste their time or your time. 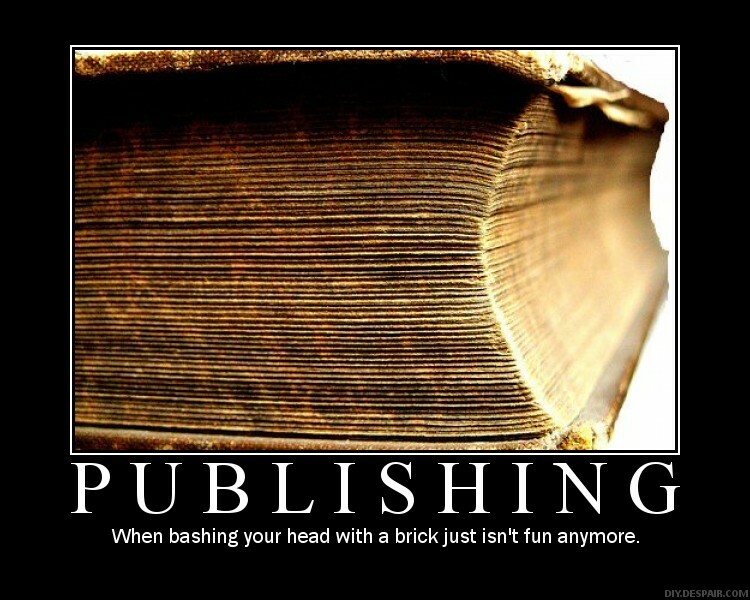 Just because you are trying to be published does not mean that you sit around with nothing better to do with your (valuable) time than query for fun. Stuff like that irritates me and that kind of junk is found in every business. If you are going to bother to maintain a website and use it to further your business, there is an implied obligation for you to keep it updated with your current policies. My current theory is that it’s some sort of zen. You keep submitting and they keep not taking submissions until one day, the quality of you submitting has clarified and they accept the submission. (And then you begin the Zen Rejection path probably). Look at Pete being all mellow. I need some of that in my life. I’m way too stressed and irritable. Seriously, somebody pass me a vacation. Mellow because it happened to her, not me. 🙂 And I guess it’s the sort of genuine slapstick that happens in life that just puzzles and fails to surprise me. But as soon as I find a vacation, I’ll way pass it to you. By all means yes, send some vacation my way. I have days I need to take this year. I’m looking at the middle of October perhaps. I’ve just been ranty lately. Need some mellow me time. There are a lot of stress factors in my life right now, and it makes me a bit unpleasant. And weepy here lately. Stupid hormones.